You may want to change the order of images within a Gallery. 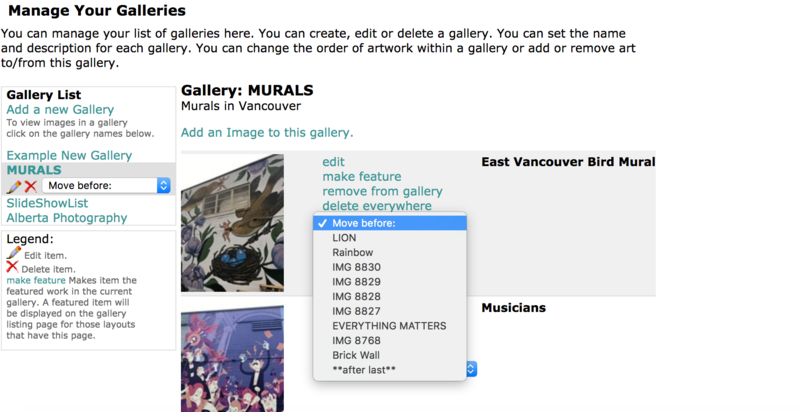 Here are the instructions on how to move your images around within a gallery. On the right-hand side, you will see the thumbnails of the images in that Gallery. Select the exact location of each image within the Gallery. If you do not select the order of an image, the most recently added image will be at the top of the list and will be the first one viewed in the Gallery.